Now it’s possible to know at any moment, and for every operation, what the law requires of your business. The Libryo Platform delivers all and only the law that matters to your organization, in a simple-to-search and easy-to-read format. You’ll be the first to know when legislation changes, keeping you on the front foot and up to date with compliance. The Libryo platform helps multi-nationals and large corporations in over 46 countries to make sense of regulatory complexity. 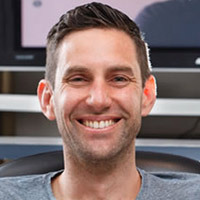 Peter is Cofounder and CEO of Libryo, primarily responsible for the technology side of Libryo’s product development and new business development.